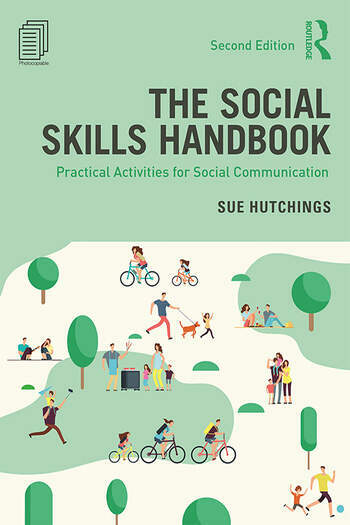 Now in a revised second edition, this book offers practical guidance for setting up and running social skills sessions. Based on well established therapeutic principles, this is a flexible, easy to use resource suitable for practitioners and professionals working in a range of settings. An overview of social communication theory and the principles of groupwork forms a solid foundation for the session and activity guidance, structured so that the sessions progress from basic skills such as ‘Eye Contact’ and ‘Empathy’ to more complex skills such as ‘Problem Solving’ and ‘Making Friends’. With ever increasing numbers of people being diagnosed with some form of social difficulty, this book will be an essential resource for anybody working within health and social care, education and the community looking to teach and develop social confidence and communication skills. Sue Hutchings is a qualified Occupational Therapist and has worked predominantly in community mental health. For the later part of her career, she worked in Occupational Therapy education and was active in the support and professional development of students on field work placements in a range of health and social care settings. She has held a long interest in social communication and how it can best be acquired and used to for positive effect in everyday life.